Chum leaves the remount depot and makes his name. Three White Stockings was based on a true story, and everything from the time Chum leaves the remount depot is true. He was a great jumper, once taking off from the bed of a stream over a three-foot bar with a strand of barbed wire another foot above it; and he barely scratched himself. He becomes a point to pointer, but doesn’t always win. 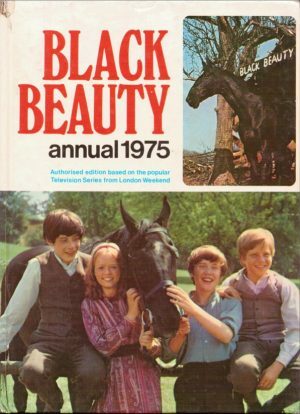 Moyra Charlton (Yvonne Moyra Graham Charlton) was one of the earliest pony story writers, as well as quite possibly the youngest. Tally Ho was begun when she was just eleven. 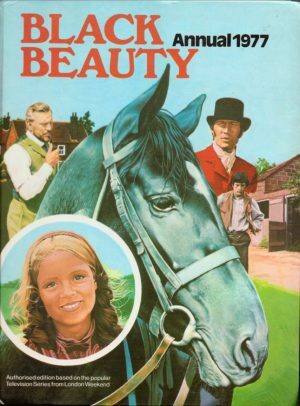 As well as her horse stories, she also wrote historical novels and a dog story. 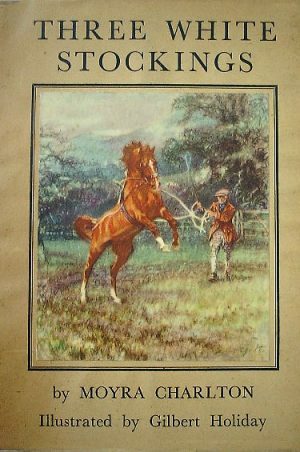 The books are all beautifully illustrated, two by Gilbert Holiday, who illustrated her The Midnight Steeplechase and Three White Stockings. Her first book, Tally Ho, was started just after her eleventh birthday, and finished ten months later. The story came from her own experience – the only assistance she needed was apparently that of a dictionary. 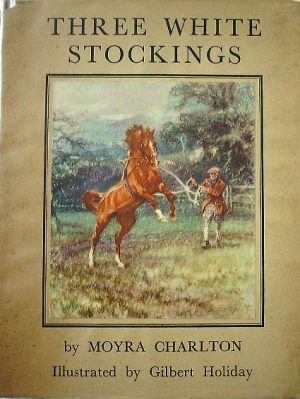 Moyra Charlton wrote several other pony books, but in later life wrote historical fiction. The Midnight Steeplechase was based on the H Alken prints celebrating the first Midnight Steeplechase in 1839, which Moyra learned about through her brother. He went away to school and became fag for the Captain of his House, who had a set of the prints in his study. When the Captain left, he held an auction of things he no longer wanted (as was the custom at the school). Moyra’s brother at last plucked up the courage to ask how much the prints were, as he only had five shillings left. He bought the prints for five shillings, and hung them in his room, which was where his sister saw them, aged 12, on a visit. 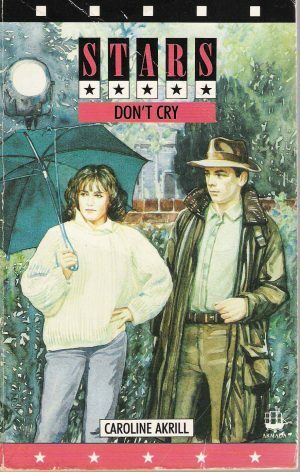 The book was started shortly afterwards. 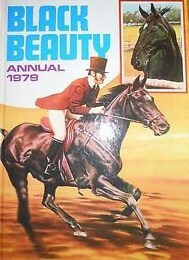 All her pony titles are reasonably easy to find, and are not generally too expensive. The Midnight Steeplechase has crept up in price over the past few years. Echoing Horn is the most expensive of her titles.